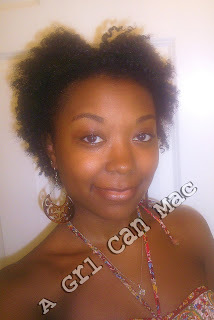 There are different ways to maintain this style but I will share with you how I've been maintaining mine. 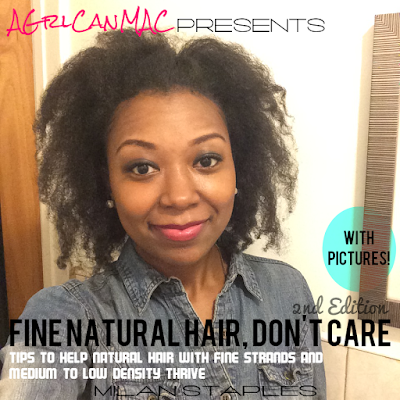 I maintain them the same way I maintain my braid outs. At night, I simply put on a satin bonnet and go to sleep. The next day, I take off the bonnet, fluff my hair, and that's it. This style will last me a week till I wash my hair again (which is once a week). Sometimes I re-twist my hair, sometimes I don't. After day 3, it starts to get fuzzy so usually that night, I'll re-twist. You can re-twist more frequently if that works better for you. Curly Chronicles re-twists her hair every night. I try to not re-twist a lot between washes b/c I try not to manipulate/handle my hair too much. If at any time my hair starts to feel dry, right now, I would rub a lil Kalawentz Jojoba Oil together in my hands and gently apply it to my hair focusing on the ends. I really want to use a daily moisturizing cream or butter though. I just recently bought Afroveda Cocolatte Moisture Mask and Kalawentz All in One. Both are daily moisturizers that I can't wait to try them out and review! You'll want to be careful with this b/c handling your hair too much will create frizz. 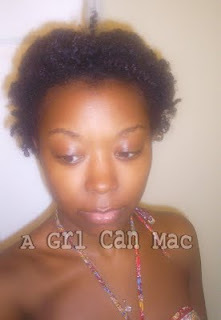 You won't want to use water as your hair will shrink back up to it's natural curl pattern. Usually, the last couple days of the style I will start rockin a head band with it or put it in a puff. I'll be updating my fotki soon. Great I can't wait for the updates and I'll def check out your blog. What'd you twist with? Maybe that could've have been a part of why it didn't come out how you wanted? 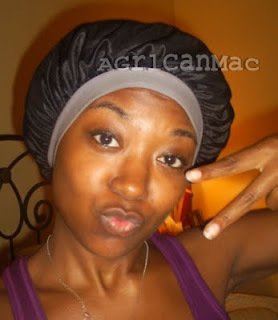 I know im late but I just wanted to know where u got that satin cap with the WIDE band ... the ones I see usually look more like a shower cap with that thin elastic ... cassifox@gmail.com thanks!